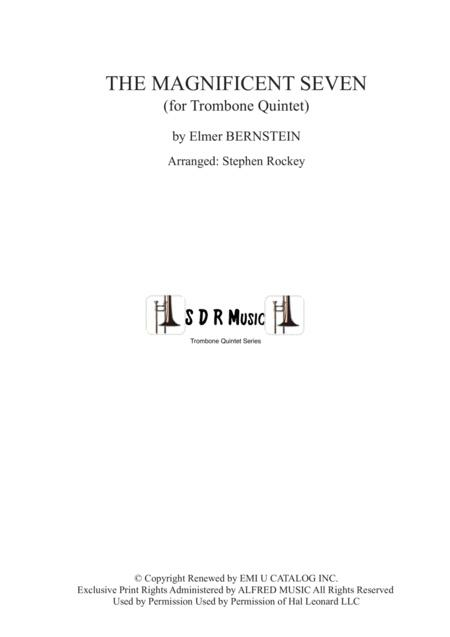 By Elmer Bernstein. Arranged by Arranged by Stephen Rockey. Score, Set of Parts. 21 pages. Published by Stephen Rockey (H0.373621-508530). 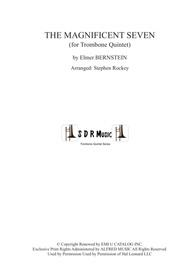 An arrangement of the title music to The Magnificent Seven by Elmer Bernstein for Trombone Quintet. This is an intermediate level arrangement that should be playable by a mixed group from ABRSM Grade 3 to 5. It would make a great addition to any recital, concert or other occasion, and is fun to play. A Bass Trombone player is advised.